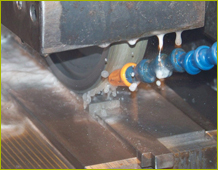 CNC Machining – Our variety of turning and milling centers provide flexibility in choices to serve our customers with prototype-to-production quantities. Grinding and Turning – We have the ability to grind diameters to hold tolerances of +/- .0002″. We also can precision slice to tolerance of +/- .0005″. 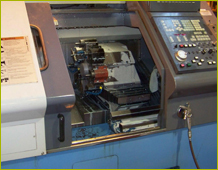 Electrical Discharge Machining (EDM) – High accuracy and tight tolerances are essential for industries such as Medical, Aerospace, and Semiconductor. 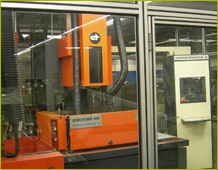 With EDM we produce and repeat all required specifications with ease.